We are nearly 3 months into this school year and I am just now starting to find my groove. Now that I say that I probably will become a crumbled mess of mom, teacher, grad student and blogger. However, right now I am figuring out how to keep things going, keep my kids happy and life less messy. 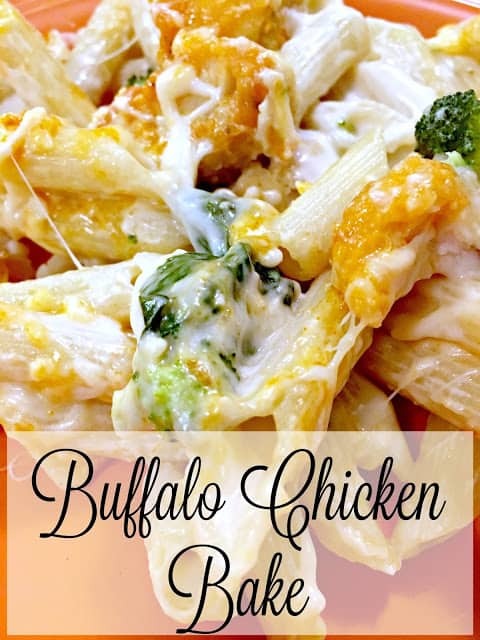 I have been working harder at easy weeknight meals, and this Buffalo Alfredo Chicken Bake is definitely my #MomsWingMan. This is the beginning of a tornado…a very hungry tornado. 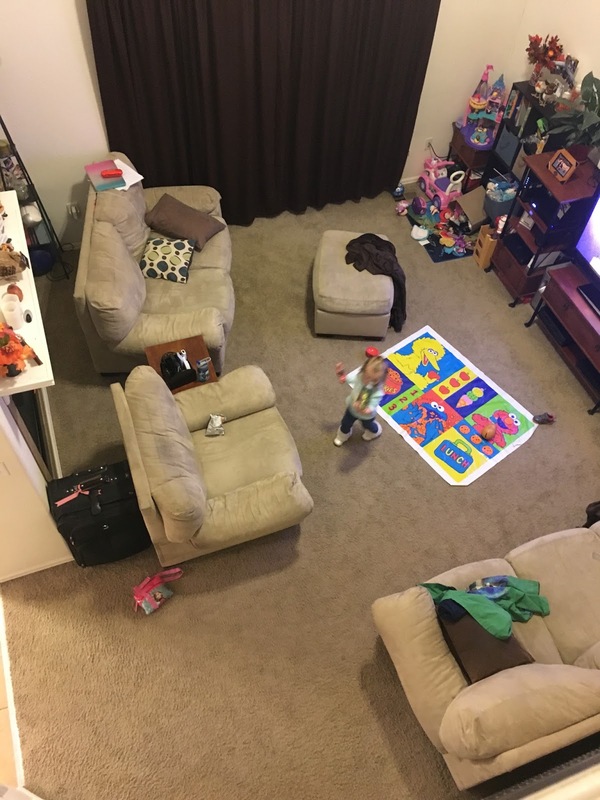 You see what typically signifies this is that my children will lay out that sesame street plastic mat, and then methodically they will begin dumping out the toy boxes, and if I do not get dinner done quick enough this small mess becomes a huge disaster. 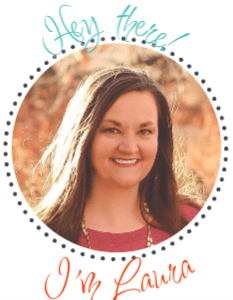 Weeknights are busy, my kids are hungry and can be little stinkers, especially if I do not have quick and easy meals planned out and ready to go. This is where meal planning and deal shopping comes in. I need quick and effortless meals and I like to put fresh veggies in those meals, so pre made lasagnas and store bought one-dish meals are not typical in this household. However, I discovered these Farm Rich 100% real white meat chicken bites at King Soopers the other night, that I can pop in the microwave or oven quickly or add them to my own dish and have a super easy dinner right at hand. This is key to quelling the chaotic tornado children. I decided to put a spin on a creamy Alfredo bake that a friend had sent me. This family likes spicy foods so the Boneless Buffalo Chicken Bites were our choice of meat. Preheat the oven to 350º and boil 6 cups of water on the stove top. 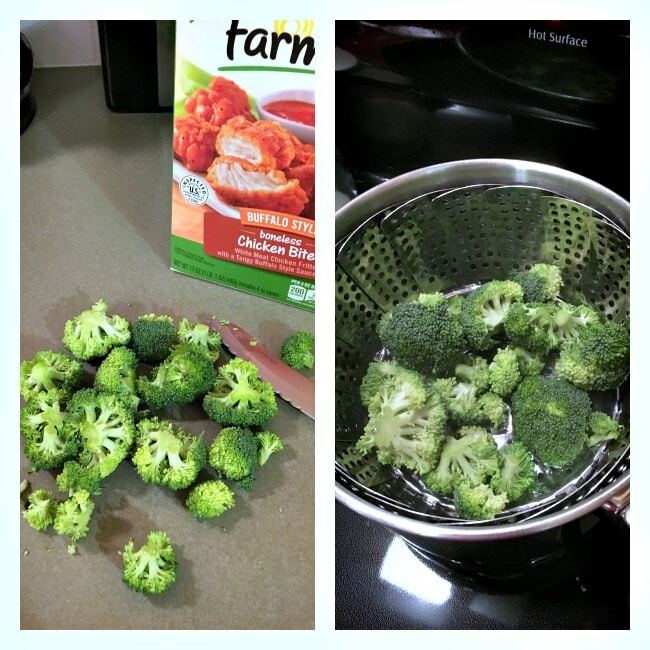 Cut the broccoli and steam it on the stove top. 3. On a plate spread out the Farm Rich Boneless Buffalo Chicken Bites and microwave them according to the instructions on the box. 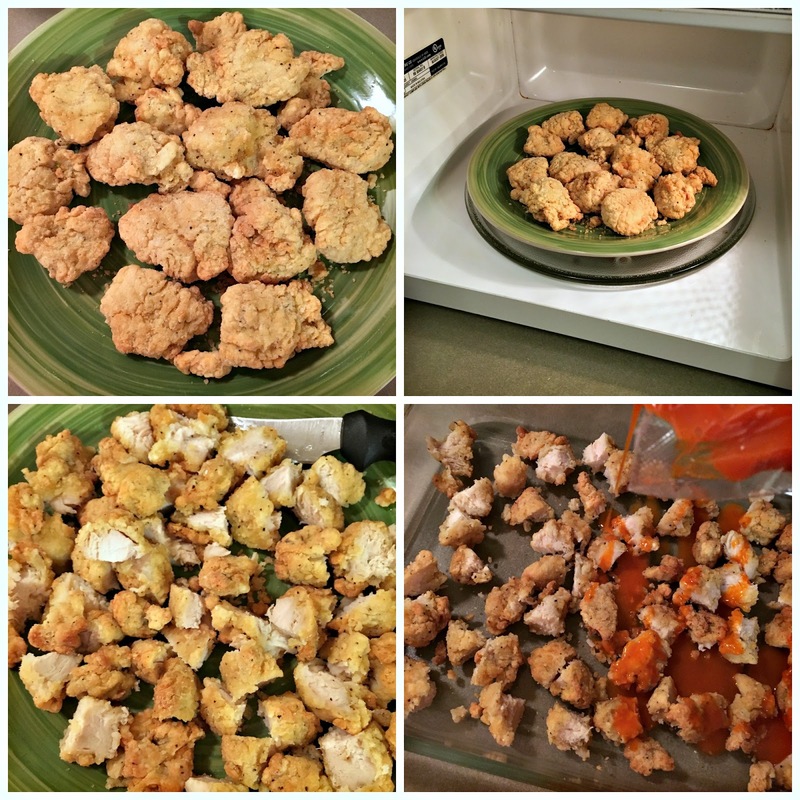 Once they are done, cut them into smaller pieces and pour the buffalo sauce over them in a baking dish. 4. 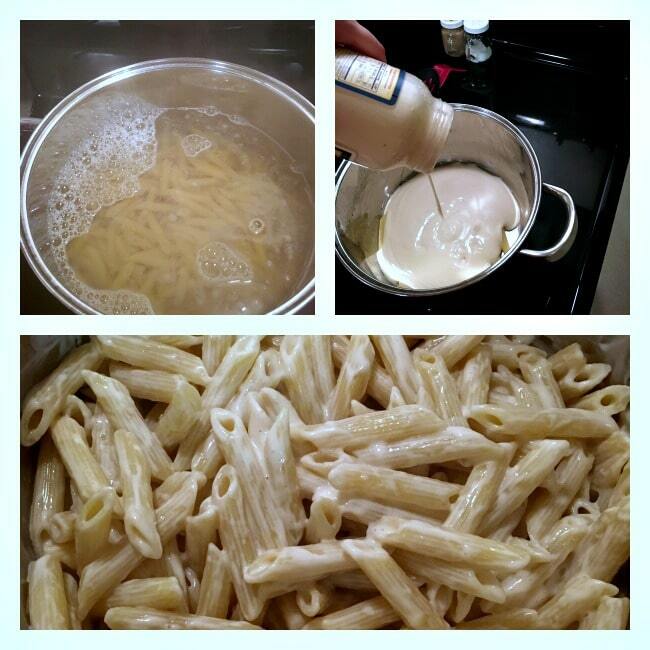 Boil the penne pasta until cooked, strain and then add the Alfredo sauce to the pasta. Mix well. 5. Layer the broccoli and 1/4 of the mozzarella cheese onto the Farm Rich Boneless Buffalo Chicken. 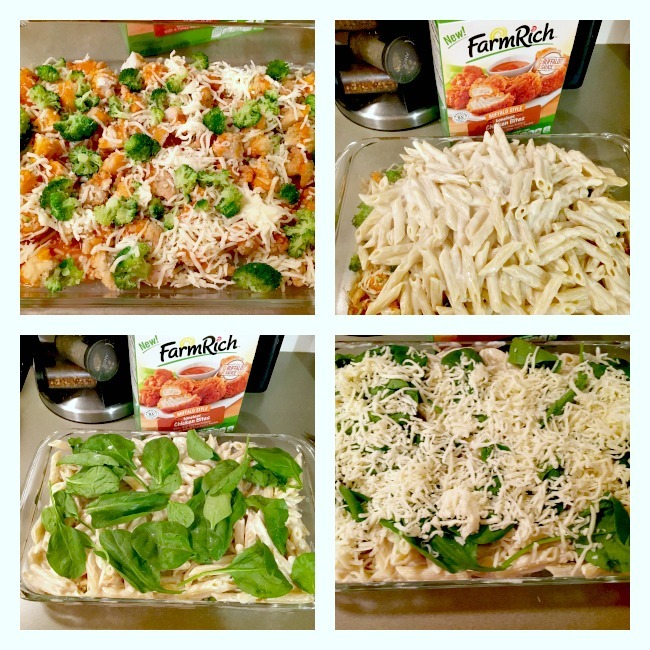 Then add the Alfredo pasta, place the spinach on top of that and finally the rest of the cheese. 6. Bake until cheese is melted, serve and enjoy! 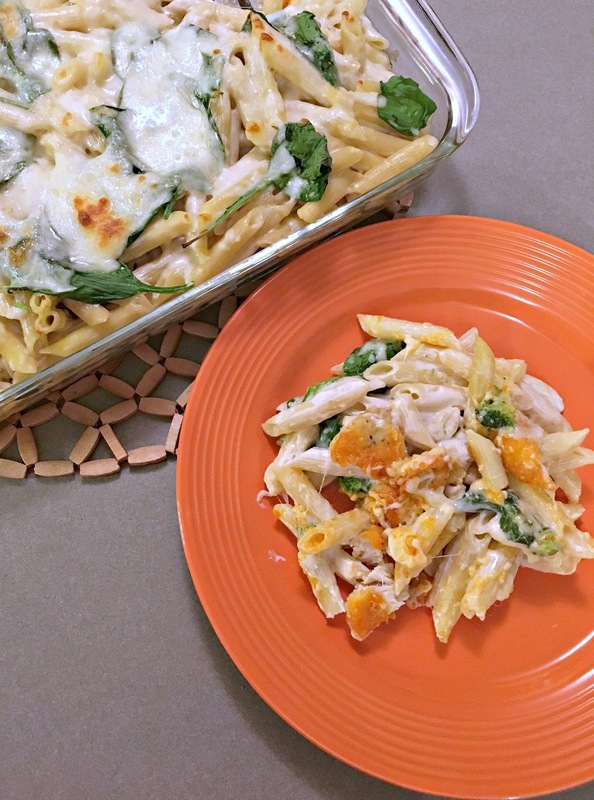 This was a quick weeknight meal for our family. It took about 30 minutes from start to finish. I made sure to boil the water, steam the veggies and microwave the chicken simultaneously. What is even better is that I snagged all the food items for this meal for under $15.00 and we not only had dinner that evening, but also leftovers another evening as well as 2 lunches! 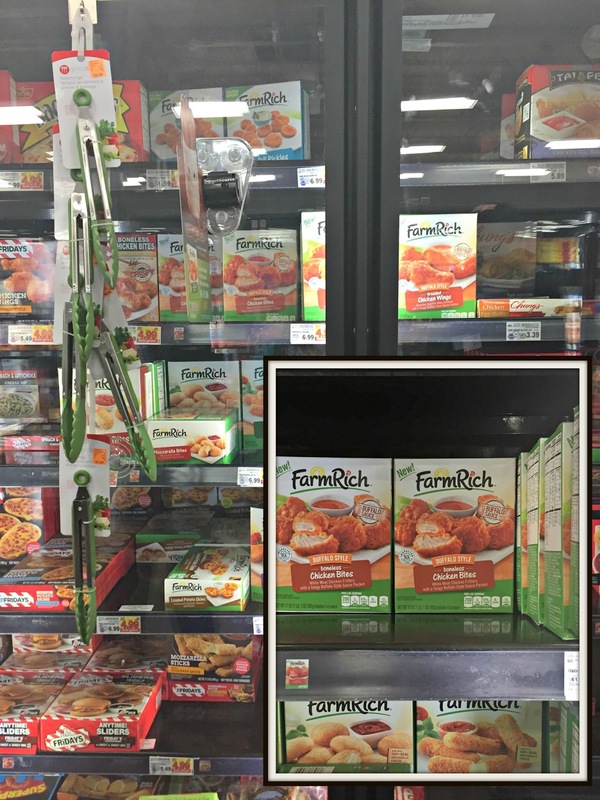 I used mostly Kroger products and was elated to hit the buy 10 save $5 Mega-Event going on right now. Be sure to check out the awesome sale going on now! They key to our busy life is having a plan. Saving money is a bonus too. I am very appreciative of these quick meals because it truly does allow me more time with my children. If I can put this meal together quickly and have dinner done, eaten and cleaned up, the rest of the evening can be spent playing games, reading books and laughing as a family. It is not always perfect, but dishes like this can swoop in and save the day. Life is busy, life is chaotic, but life is good. How do you make life easier?